With Stake Land hitting UK cinemas today, Metrodome has released a UK trailer as well as a number of clips to wet your appetite for this neck biting horror tale. A young boy (Connor Paolo, Gossip Girl) is about to learn how cruel the world can become. Martin was a normal teenager before the country collapsed in an empty pit of disaster, and a vampire epidemic swept across the nation’s abandoned towns and cities. As with his hit, MULBERRY STREET, Jim Mickle creates a dark and terrifying world, although this time it is fully stocked with the most vicious vampires in recent film history. 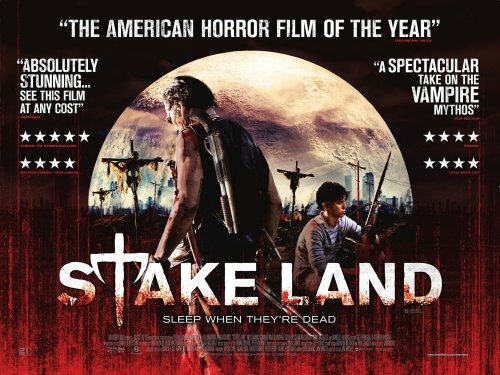 STAKE LAND is a gritty, post-apocalyptic road movie with teeth!